Hello Dealsnloot Readers,ConfirmTkt is best for IRCTC/ Indian Rail PNR status prediction and its confirmation chances . When the ticket confirmation chances are low , it discovers all the possible alternative travel options by utilizing all the available quota`s on the train . In short it helps one get a confirmed ticket to travel no matter what .Confirmtkt app is offering Rs.10 Freecharge freefund code for referring per friend, maximum you can earn Rs.200 by referring 20 friends. So Grab This Loot App and Earn Unlimited free Freecharge Freefund Coupon Codes. 1. 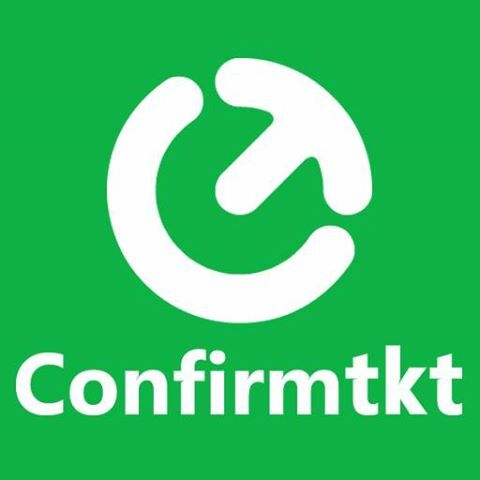 Download Confirmtkt Android app from Here . 2. Once you download, open it and click on register. 3. Now enter your name, email & mobile number then verify your number. 4. After verification, you can see "Invite friends" option in the bottom portion of app. 3. Click on it start sharing your referral link with friends. 4. Maximum you can earn Rs.200 Freecharge freefund code, per friend you will get Rs.10 coupon. 1. Do genuine trick then uninstall the app. 2. Change IMEI, android device id. 3. Delete all google accounts. 4. Add new google account and download app from your refer link. 5. Open that new app and make it open for 1-5 minutes and yeah you are done. 1) Maximum of 200 rs recharge can be claimed. 2) Recharge coupons will be sent within 3 days to your email id. You can contactsupport@confirmtkt.com for any queries. 3) Recharge coupon will be sent only after verification from our team after successful install via referral. 4) Campaign is for a limited period of time. ConfirmTkt reserves the right to stop the campaign without prior notice. All pending verified claims will be processed in such case.